Living on the beach, you can use your free time to stroll along the East Sands coastline, and let the brisk North Sea breeze clear your head. Follow the path into town to see the old harbour and the magnificent ruins of St Andrew’s Cathedral and Castle, then wander the Botanic Garden’s winding trails. Warm up with a creamy hot chocolate at Zest Café, and pick up a famous fudge doughnut at iconic local bakery, Fisher & Donaldson. After dark, catch a show at The Byre Theatre, or meet friends for dinner, drinks and dancing at Vic pub and social club. 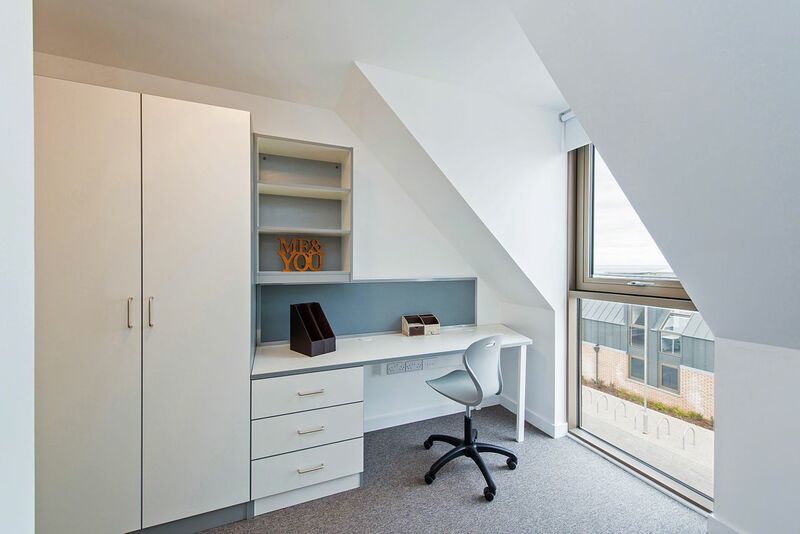 It’s a 20-minute walk to the University of St Andrews from your new home at East Shore. And you can walk into the town centre in around 30 minutes or hop on a bus and be there in 15. Take a day trip to the capital city of Edinburgh at weekends, which is only an hour away by train and if you have a car, you can use the property’s secure car park. 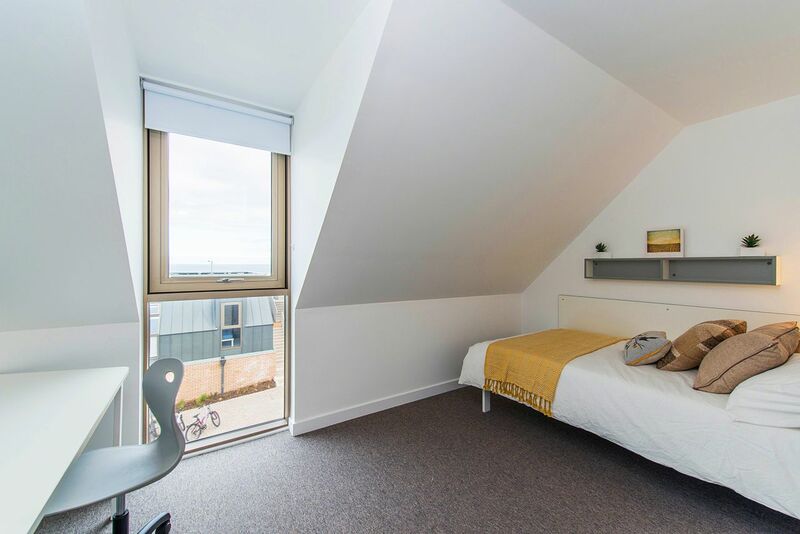 You’ll wake up to spectacular views of the beach when you live at East Shore Student Halls. Take a walk along the sandy shores or go swimming if you’re brave enough to test the Scottish waters. At East Shore, the Halls Committee make the most of the great location and organise all kinds of organised beach activities, from barbecues and kite-flying to land yachting, horse riding, skydiving and surfing. When you want to stay indoors, East Sands Leisure Centre is right opposite your new home, so you can go for a swim or work out in the well-equipped gym. 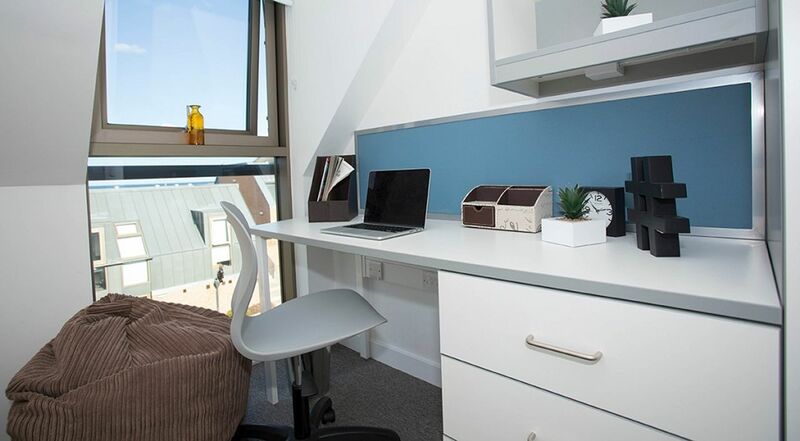 Focus on your studies in your bedroom, where you’ll find a desk and chair and you can use the free Wi-Fi to get your research done before class. Freshen up in your own ensuite bathroom and head to the shared kitchen, where you can cook dinner with housemates, eat together in the spacious dining area or watch TV on the sofas. After you’ve eaten, catch up with other students in the common room and watch your favourite shows on the Smart TV, play board games or chat about your day. In summer, use the outdoor study areas to get some work done on sunny evenings. There are laundry facilities on-site, and all utilities are included in your rent. The maintenance team are always available to help, and there’s CCTV and secure door entry for your peace of mind. Wir haben leider keine Unterkunft gefunden, die deinen Wünschen entspricht.Alle Privatzimmer in East Shore Student Halls ansehen.